Just a quick note that there’s still time to win a copy of Close Quarter from my contest over at Jessica Freely’s blog. The contest runs through Sunday and I’ll pick the winner Monday morning! All you have to do is comment on my post about vampires. 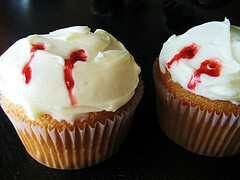 I’ll even throw in virtual vampire cupcakes!